Do Bayesian statistics rule the brain? This week’s New Scientist has a fascinating article on a possible ‘grand theory’ of the brain that suggests that virtually all brain functions can be modelled with Bayesian statistics – an approach discovered by an 18th century vicar. Bayesian statistics allow the belief in the hypothesis to shift as new evidence is collected. This means the same evidence can have a different influence on certainty, depending on how much other evidence there is. In other words, it asks the question ‘what is the probability of the belief being true, given the data so far?’. The NewSci article looks at the work neuroscientist Karl Friston, who increasingly believes that from the level of neurons to the level of circuits, the brain operates as if it uses Bayesian statistics. Over the past decade, neuroscientists have found that real brains seem to work in this way. In perception and learning experiments, for example, people tend to make estimates – of the location or speed of a moving object, say – in a way that fits with Bayesian probability theory. There’s also evidence that the brain makes internal predictions and updates them in a Bayesian manner. When you listen to someone talking, for example, your brain isn’t simply receiving information, it also predicts what it expects to hear and constantly revises its predictions based on what information comes next. These predictions strongly influence what you actually hear, allowing you, for instance, to make sense of distorted or partially obscured speech. In fact, making predictions and re-evaluating them seems to be a universal feature of the brain. At all times your brain is weighing its inputs and comparing them with internal predictions in order to make sense of the world. “It’s a general computational principle that can explain how the brain handles problems ranging from low-level perception to high-level cognition,” says Alex Pouget, a computational neuroscientist at the University of Rochester in New York. Friston is renowned for having a solid grasp of both high-level neuroscience and statistics. In fact, he’s was the original creator of SPM, probably the most popular tool for statistically analysing brain scan data. Needless to say, his ideas have been quite influential and ‘Bayesian fever’ has swept the research centre where he works. I was interested to see that his colleague, neuroscientist Chris Frith, has applied the idea to psychopathology and will be arguing that delusions and hallucinations can be both understood as the breakdown of Bayesian inference in an upcoming lecture in London. This edition of NewSci also has a great article on how cosmic rays affect the brains of astronauts, so it’s well worth a look. Link to NewSci article ‘Is this a unified theory of the brain?’. Link to article ‘Space particles play with the mind’. Author vaughanbellPosted on May 31, 2008 Categories Theory6 Comments on Do Bayesian statistics rule the brain? The BPS Research Digest has just alerted me to an excellent cover article from Prospect magazine on the effects of computer games on young minds and why the scaremongering is largely hot air. One of the biggest mongers of scare is the otherwise excellent Susan Greenfield, who seems to be convinced, mostly on the basis of speculations from some rather obliquely-related neuroscience studies, that video games and electronic culture and doing dreadful things to young minds (although not to elderly minds, who should apparently buy the ‘brain training’ software she’s endorsed). There is indeed evidence of an association between violent video games and aggression aggression in some young people, but there’s also plenty of evidence of the benefits of children playing games. Psychologist Tanya Byron wrote a remarkably well-researched report on the topic for the UK government, which is rightly highlighted by the Prospect article as one of the high-points of the debate. The Prospect piece is a great overview of some of the things less often touched on by the academic literature, such as the real-life management skills needed to succeed in some of the massively multiplayer online role-playing game’s like World of Warcraft or Second Life. Link to Prospect article ‘Rage Against the Machines’. Magnetic resonance imaging is the most popular method for scanning the brain both for research and for clinical investigations. I’ve just found a wonderfully written article that gives a great introduction to the physics of how MRI scanners work. It is both clearly written for the non-specialist and fantastically complete. This is a rare and valuable combination. There are some other guides to MRI physics which are also wonderfully written but most lack the sufficient detail that would bring you up to ‘entry level’ in the field. For example, How Stuff Work’s guide to MRI is a great place to start, but it won’t tell you about why and how T1 and T2 imaging are different, or any of the other things you need to know to understand the fundamentals of MRI technology. You don’t need to know maths to understand the article (the downfall of most ‘introductory’ guides to MRI) and the author uses wonderfully clear analogies throughout. The article is written by radiologist Robert Pooley, who should give himself a pat on the back for such a great job. It was published as an open-access paper in the journal RadioGraphics. Perfection! Link to article ‘Fundamental Physics of MR Imaging’. ABC Radio National’s The Philosopher’s Zone broadcasts part two of its series on the philosophy of suicide. PsyBlog has been rocking the cognitive biases recently. This is a fascinating article on ‘Four Belief Biases That Can Reduce Pleasure‘. Columbia University has an archive of video lectures by some of the ‘big names’ in psychology and neuroscience. The BPS Research Digest covers a new study that finds that harsh discipline actually makes aggressive children worse. Calm Zone. A fantastic UK initiative to encourage young inner city males to get help for mental health difficulties. “Why we posted epilepsy film to YouTube”. The Guardian continues the debate over whether video of people having seizures is education or exploitation. Time magazine wonder about the possibilities of prescribing our own antidepressants. Pete Doherty says ‘a mind is a terrible thing to waste’. No it’s not the Pete Doherty you’re thinking of. The All in the Mind blog finds some interesting commentary on movement, the mind, cognition and the car. Psychologist David Rabiner asks does mindfulness meditation help adults and teens with ADHD? in an article for Sharp Brains. The Situationist discusses whether we’re living in an age of increasing child anxiety? Gratingly banal headline obscures an interesting article from The New York Times on the neurobiology of cigarette addiction. Not Quite Rocket Science covers recent research on how perceived social hierarchy affects cognitive abilities. The Economist on the same. A fantastic 2002 article from Wired on the curious and death of psychiatrist Elisabeth Targ, who completed the (in)famous prayer healing (not quite so) randomised controlled trials. Brain Windows is a fantastic looking neuroscience blog that seems to have been dormant for a couple of months. Plenty of good articles there though. Forgetting Is the New Normal according to an excellent brief article on memory and ageing from Time magazine. Furious Seasons looks at some new broadsides in the debate over the effectiveness of antidepressants. Can you teach happiness? ABC Radio National’s education programme EdPod examines whether it’s possible to teach positive psychology to school children. Inspirational Kid’s Company founder and child therapist Camila Batmanghelidjh is interviewed in The Independent. Time magazine looks at the psychology of Second Life. The ‘seven challenges of psychotherapy‘ are discussed by PsychCentral. The New York Times have an article on the truly miraculous miracle fruit, a plant that contains a unique protein that transforms even the most intensely acidic flavours into sweet taste sensations. ‚ÄúYou pop it in your mouth and scrape the pulp off the seed, swirl it around and hold it in your mouth for about a minute,‚Äù he said. ‚ÄúThen you‚Äôre ready to go.‚Äù He ushered his guests to a table piled with citrus wedges, cheeses, Brussels sprouts, mustard, vinegars, pickles, dark beers, strawberries and cheap tequila, which Mr. Aliquo promised would now taste like top-shelf Patr√≥n. The miracle fruit, Synsepalum dulcificum, is native to West Africa and has been known to Westerners since the 18th century. The cause of the reaction is a protein called miraculin, which binds with the taste buds and acts as a sweetness inducer when it comes in contact with acids, according to a scientist who has studied the fruit, Linda Bartoshuk at the University of Florida‚Äôs Center for Smell and Taste. Apparently, some pioneering barmen have been experimenting with miracle fruit cocktails and the article has video of a ‘flavour tripping party’ where people get together to try the small red berry before sampling a while range of foods which take on a strange news flavour. Link to NYT article ‘A Tiny Fruit That Tricks the Tongue’. 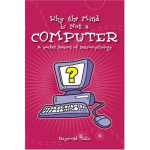 Raymond Tallis (2004, originally published 1994). Neuromythology is the shibboleth of cognitive science that the mind is a machine, and that somehow our theories of information, complexity, patterns or representations are sufficient to explain consciousness. Tallis accuses cognitive scientists, and philosophers of cognitive science such as Chalmers, Churchland and Dennett, of the careless use of words which can apply both to thinking and to non-thinking systems (‘computing’, ‘goals’, ‘memory’, for example). This obfuscation “provides a framework within which the real problems can be by-passed and the illusion of progress maintained”. At his best Tallis is a useful reminder that many of the features of the brain which are evoked to ‘explain’ consciousness really only serve as expressions of faith, rather than true explanations. Does the mind arise from the brain because of the complexity of all those intertwined neurons? The processes inside a cell are equally complex, why aren’t cells conscious? Similarly for patterns, which depend on the subjective perspective (yes, the consciousness) of the observer rather than having an objective existence which is sufficient to generate consciousness; and for levels of description, which, with careless thinking are sometimes reified so that the mind can ‘act’ on the brain, when in fact, if you are physicalist, the mind and brain don’t have separate existences. Moments of the argument can appear willfully obstructive. Tallis maintains that there is no meaningful sense in which information can exist without someone being informed, any more, he says, than a watch can tell the time without someone looking at it. He’s right that we should be careful the word information, which has a very precise technical meaning and also colloquial meanings, but if you suppose that subjective consciousness is required to make information exist (and rule-following, representation and computation to pick a few other concepts about which he makes similar arguments) then you effectively disallow any attempts to use these concepts as part of your theory of consciousness. The disagreement between Tallis and many philosophers of cognitive science seems to me to be somewhat axiomatic — either you believe that our current models of reality can explain how matter can produce mind, or you don’t — but Tallis is right to remind us that the things we feel might eventually provide an answer don’t in themselves constitute an answer. In essence what this book amounts to is a vigorous restatement of the ‘hard problem’ of consciousness — the stubborn inadequacy of our physical theories when faced with explaining how phenomenal experience might arise out of ordinary matter, or even with beginning to comprehend what form such an explanation might take. Disclaimer: I bought this book with my own money, because I needed something to read at the Hay Festival after finishing Ahdaf Soueif’s wonderful ‘Map of Love’ (200) and because Raymond Tallis’s essay here was so good. I was not paid or otherwise encouraged to review it. The last few months have seen the passing of Frank Ayd and Charles Brenner, two huge figures in American psychiatry. Their obituaries in The New York Times reflect the ideological divide between psychoanalysis and pharmacotherapy that defined stateside psychiatry during the 20th century. Ayd, pictured top, was one of the pioneers of antipsychotic drug therapy in the states. Although it was already popular among European psychiatrists, Ayd was one of the first to try chlorpromazine (more commonly known as Thorazine) with some of his outpatients. As well as noticing the huge potential for the drug, virtually the first ever effective treatment for severe psychosis, he was also persistent in publicising the disabling side-effects when many others were dismissing them as part of the illness or ‘hysterical’ in nature. In contrast, Brenner was a mainstay of mainstream Freudian psychiatry for most of his life. Interestingly, both Brenner and Ayd came from similar backgrounds. In their early years, both published on drug treatments and lobotomy (then at the height of its popularity), although Brenner later trained as a psychoanalyst and began to focus almost entirely on a Freudian approach. Brenner is perhaps best known for his ‘conflict theory’, first presented in an influential paper entitled The Mind as Conflict and Compromise Formation. This overturned the distinction between the Id, Ego and Superego and the Freud’s idea of the unconscious as being nothing more than metaphors, and proposed a model of the mind which we would now recognise as a constraint satisfaction approach – where the mind attempts the best compromise between the satisfaction of drives while accounting for emotions and defences. While Anglo-European psychiatry tended to lean toward the biological approach, in the mid-20th century American psychiatry was largely Freudian. This is partly to do with the differing practice traditions, European psychiatry was largely hospital based and focused on psychosis while American psychiatry was largely concerned with office practice and neurosis. The shift to a more scientific approach to psychiatry in the 1970s was led by several US psychiatry departments who were more Anglo-European influenced (Washington University, Johns Hopkins, Iowa Psychiatric Hospital, New York Psychiatric Institute). This hit psychoanalytic psychiatry hard. One of the major blows was the 1980 publication of the DSM-III diagnostic manual that threw out almost all Freudian-influenced diagnoses after studies found them unreliable. Link to NYT obituary of Frank Ayd. Link to NYT obituary of Charles Brenner.